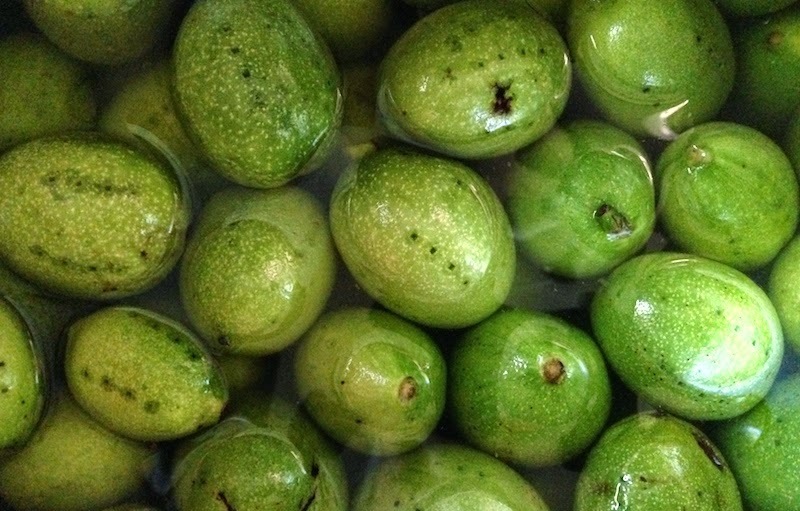 Peter Piper Picked a Peck of Pickled…Walnuts? 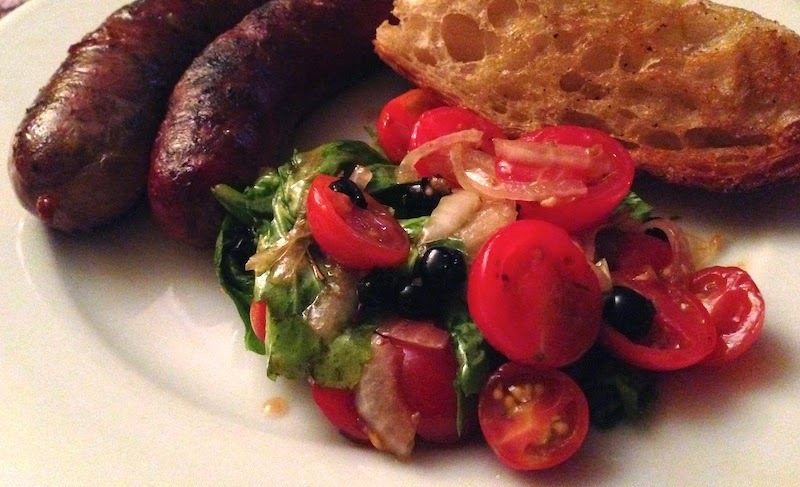 Get More For Your Money: Roast Those Carcasses! Yes, you read that right. 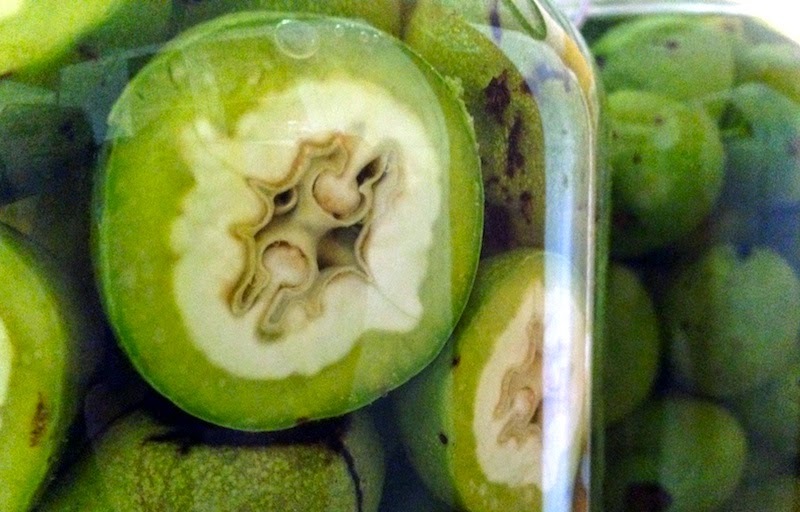 And here I thought I was getting all crazy creative by finally making nocino, a walnut liqueur made from green walnuts, something I'd been meaning to do for several years. 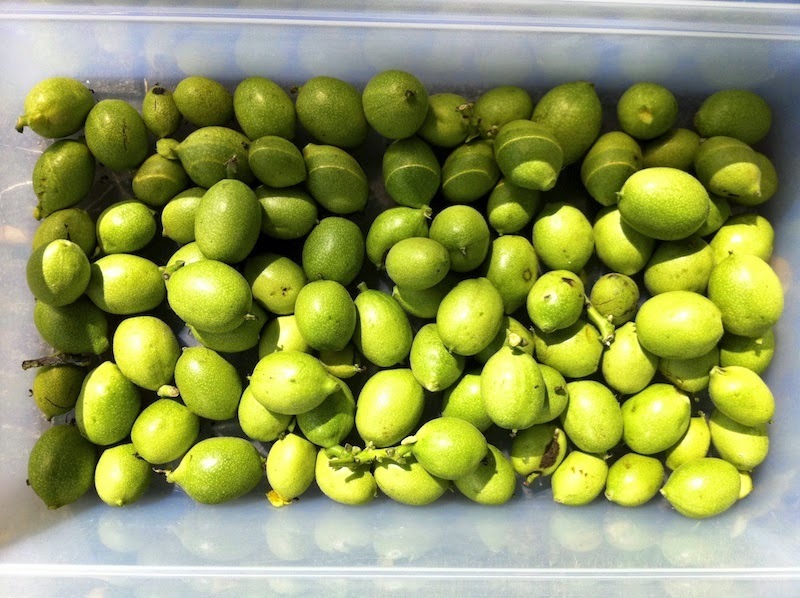 But then, wouldn't you know it, my friend (and master forager) Hank Shaw has to up the ante by posting about the pickled walnuts he's making from green walnuts. Seriously? Pickled walnuts? Ack! "I followed her advice and stabbed the disk with my fork, adding a bit of cheddar cheese and a bit of cold roast beef to round things out. Wow. It was a bit like eating solid steak sauce, with a little floral aroma and a zephyr of bitterness that just barely let you notice it. I ate another disk all by itself: Fairly soft, puckery and strangely floral. And yes, there was definitely a Worcestershire-Heinz 57-A1-thing going on here. How had I never had these before?" So being someone who can't resist a throwdown like that, particularly since he also mentioned that they're good in beef and lamb stews, in tomato salads—helloooo tomato season—as well as with scallops and shrimp, I decided to give it a whirl and try the recipe he provided in his post. My neighbor's tree was heavy with some perfect green, nutty orbs, so after inquiring politely if I could pick a few, I've started a batch. Brining took a week, and I've just packed the salty results into quart jars (top photo) to see what happens next. Check back in a month or so to get the full report! Summer means that cooking moves outdoors, with electricity replaced by fire. 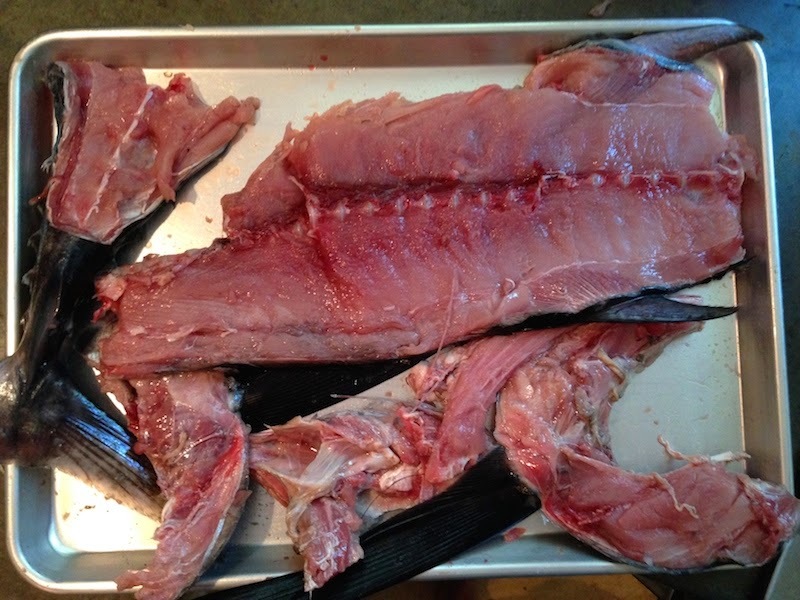 Around here we're putting not just steaks and chickens on the grill but fish, usually whole salmon or tuna loins. Roast that carcass, don't toss it. So enjoy roasting those triangular loins, whether whole or sliced into steaks and seared on the outside, leaving the centers barely warm and still pink. But please, oh please, when you buy that whole fish, ask them to bag up the carcass, too, or you'll be throwing away two pounds or so of good meat, not to mention the stock you can make from the bones, fins and head (if you buy it with the head on). 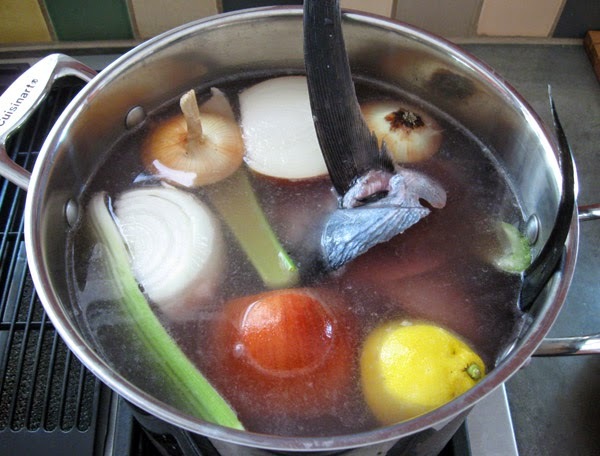 Pick meat off the roasted carcass, then make stock with the bones. 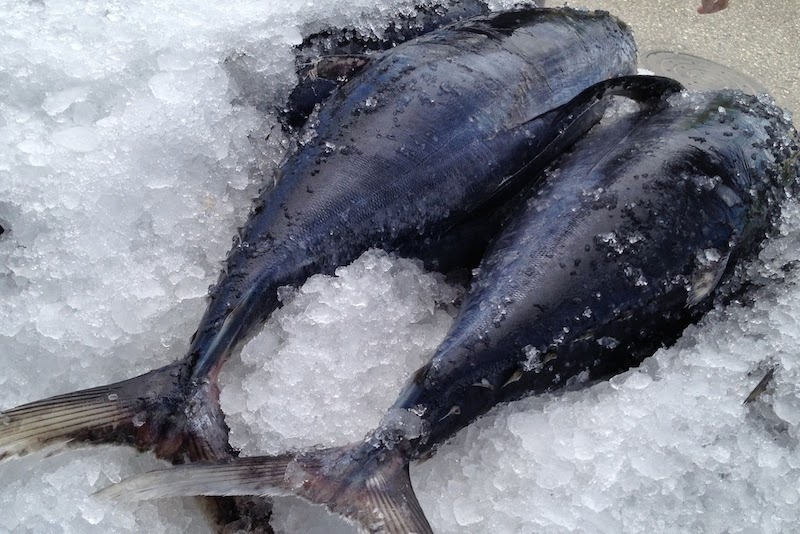 The flaked albacore from the bones will be going into salads, fish cakes, sandwiches and soups or chowders, and the stock is fabulous for paella, risottos, chowders, bouillabaisse, etc. So get the most for your money, roast those carcasses, and reap the delicious rewards! 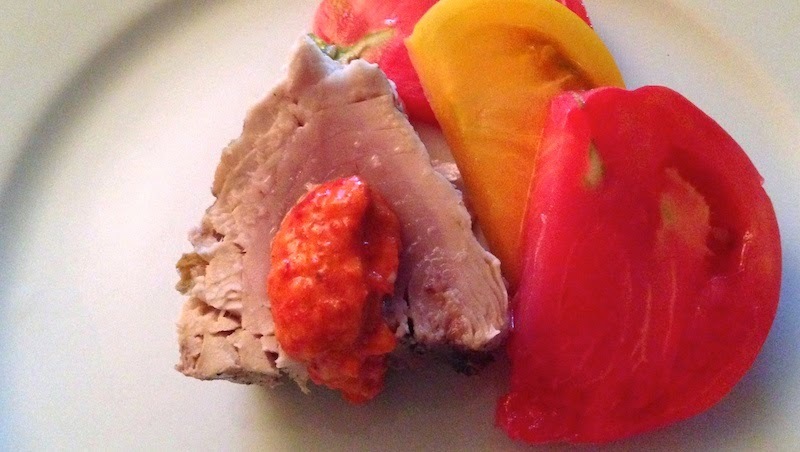 Here's the blog post from my friend Hank Shaw that got me started roasting carcasses. As organic farmers, contributor Anthony Boutard and his wife, Carol, are caretakers of the 144 acres of land that comprises Ayers Creek Farm and that grows the crops that they sell at the Hillsdale Farmers' Market. An integral part of that stewardship is protecting and promoting its natural systems, as well as contributing to a greater understanding of how those underlying systems work. Ayers Creek Farm is 144 acres, almost a half-mile square, actually more a trapezoidal-rhomboidal hybrid than a simple square. At the northern end of the property we have about 22 acres of oak savannah and the farm buildings. It is a raptor-rich area, supporting a nesting pair each of great horned owls and red tailed hawks, two pairs of barn owls, as well as two to three pairs of kestrels. Prof. Van Buskirk and student banding baby kestrel. 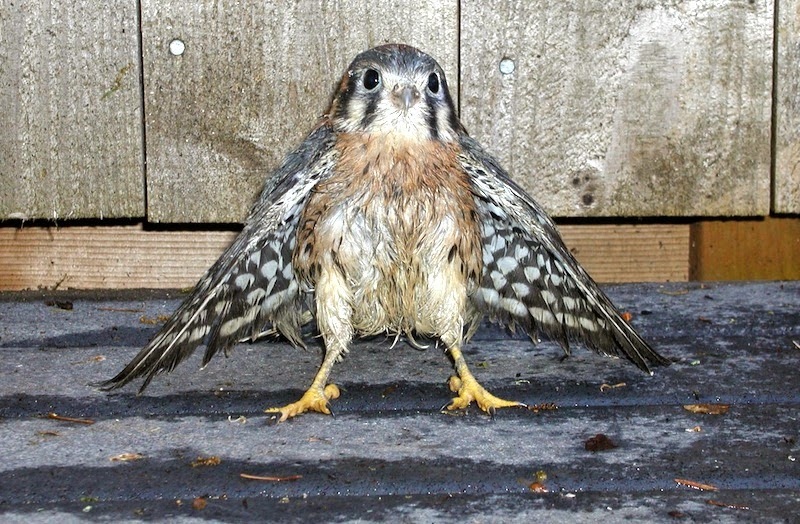 Kestrels—those of us over 50 most likely grew up calling them "sparrow hawks" and we like that name better—are the smallest of the falcons and nest in holes. They have narrow, swept-back wings and a long tail, and the head markings often adopt the style of ancient warriors' helmets. These traits are shared with their larger brethren, including the merlins and peregrines that linger during migration. These birds of the savannah and grasslands are permanent residents in the Willamette Valley, and you often see them hunting from utility wires. We build 20-foot tall perches to make their wintertime perch-and-pounce hunting method easier across the property. On the lighter summer and autumn air, kestrels will hover above the field. The slighter males have slate blue wings which distinguishes them from their mates that have brown wings. At Ayers Creek, the kestrels have utilized both natural cavities in trees as well as boxes we build. However wholesome "natural" may sound, as with us, a fine stickbuilt with an ample floor plan is preferred by the birds over a dank cave built by a woodpecker in a rotten tree. The boxes have a 10" x 10" floor, and are approximately 12" deep, with a 3" entry hole. In the British Isles, they use a box that acts more like a ledge than a cavity. 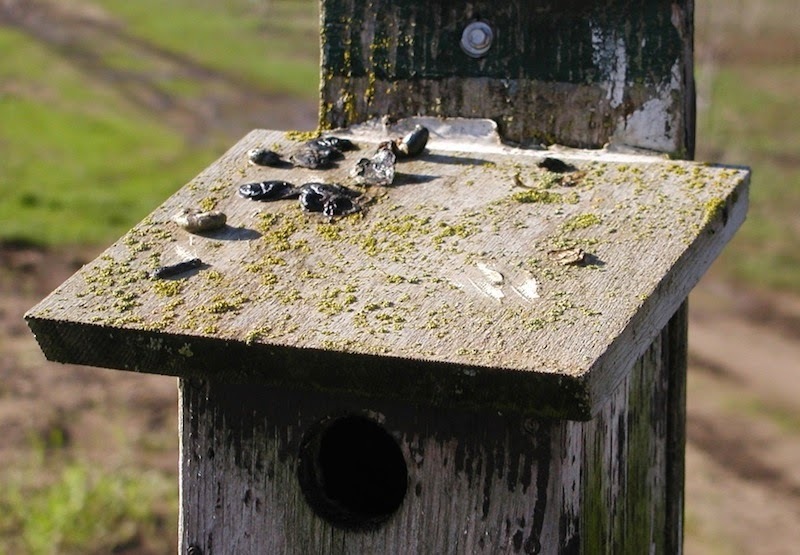 Our boxes are used by flickers and starlings, as well as kestrels. All three are welcome birds, even the much-maligned starling which may eat a few cherries and grapes, but is first and foremost an insectivore that eats many thousands of grubs. 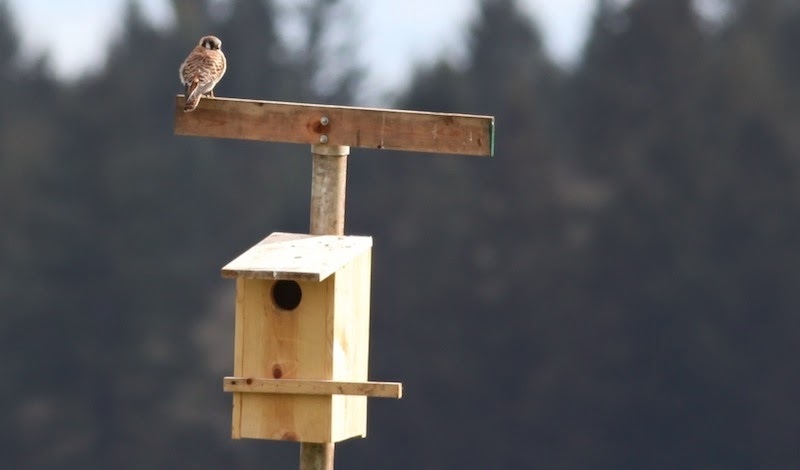 When offered a selection, the kestrels change nest boxes annually. Just as in organic farming, the rotation interrupts the buildup of pests and diseases. We have come to the conclusion that it is important to offer at least three boxes per nesting pair. The kestrel, starling and flicker belong to three different bird orders, just as humans, dogs and cats belong to different mammal orders, and the three different birds move nest to new locations each year. Last year, as soon as one of our kestrel families left their nest, a pair of flickers moved in and raised their family over the remaining days of the summer. We have three nesting pairs of kestrels close to one another and we suspect this is due to a high density of suitable nest sites. Their diet in the winter consists of mice and voles. These they carefully eviscerate, abandoning the guts but eating the rest of the animal. We find the entrails left on top of the smaller nesting boxes where the kestrels perch to enjoy their prey. Occasionally they will eat a bird; this spring I watched one grab and consume a junco. They also eat insects, especially grasshoppers, as well as worms and small snakes. The preference is for mice and voles, but in the summer grasshoppers probably assure their survival. The southern half of the farm provides no natural nesting cavities, nor are there any in the vicinity. There is a grove of trees, but it consists of Oregon ash and hawthorns, neither of which provide a good source of cavities. The ash falls apart before cavities appear and the hawthorn is too small of a tree. As a result, kestrels are rarely seen on that part of the farm during breeding season. This year we added four nesting boxes to the area; a pair settled in and the young are now out of the nest and hanging out in the shelter of the ash and hawthorn grove. One of the considerations in locating the boxes is having cover for the young who cannot fly when they plunge out of the box and are quite helpless for the first few days. Even when they do get aloft, their attempts to land are more akin to a crash onto a limb, and perhaps not the one intended. 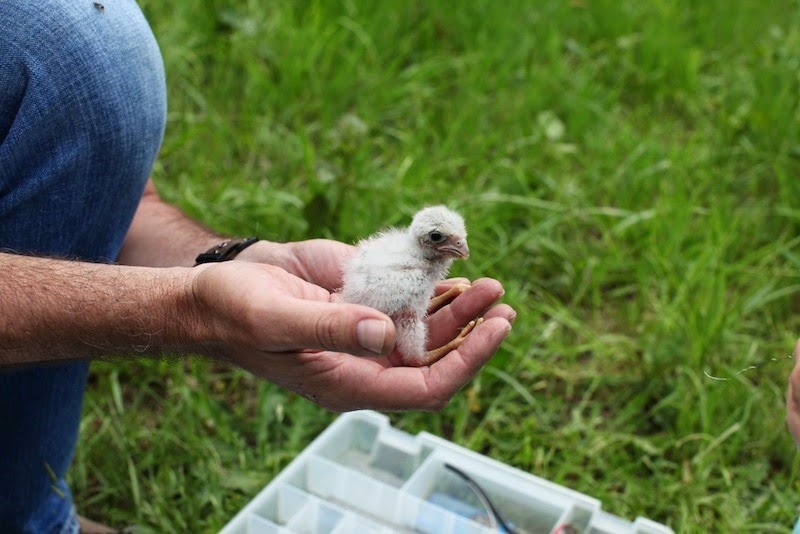 Rich Van Buskirk, Associate Professor and Chair of the Environmental Studies Department at Pacific University, has been studying kestrels in the valley, including the four pairs nesting at Ayers Creek. The adults have been trapped and banded, and the chicks are banded as well. The female nesting at the southern end of the farm was from one of the clutches Van Buskirk and his students banded here last year. His work will give us a finer-grain picture of the kestrels on the farm over time, and their relationships to one another. 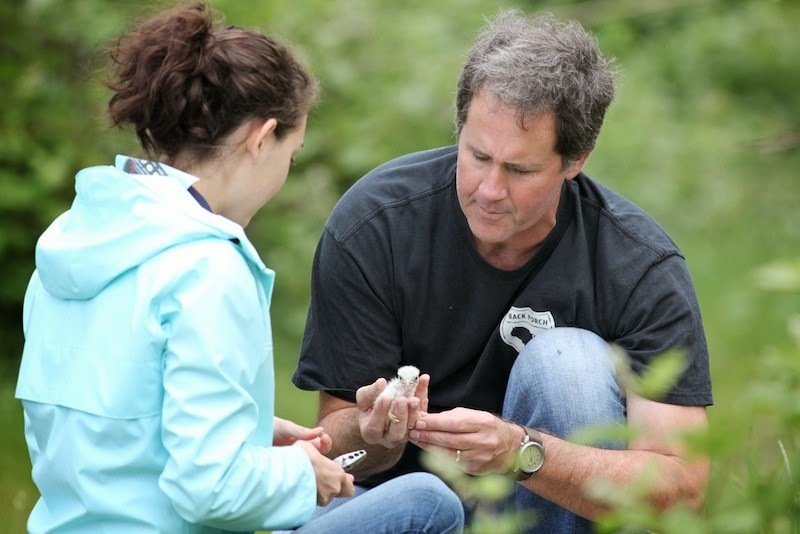 He has also been studying the success of birds raised in natural cavities compared to nesting boxes. We enjoy seeing the Professor and his students at the farm on their regular visits. We are, after all, just naturalists who happen to grow some food on the side, and happy when people notice. I will often begin dinners, not with the holding of hands and the saying of grace, asking the deity to please sprinkle holy fairy dust over the bounty of which we are about to partake, but with an apology. As in, "Please forgive me, my dear family members for whose digestive systems, indeed whose entire well-being, I am responsible for from now until I shuffle off this mortal coil, for I have no roughage or greenery to offer and thus have failed in my duties." The guilt induced by these failings haunts me, brought up as I was was by the duty, indeed the holy orders, to build a pyramid based on the trinity of protein, carb and veg. Which means that often you will find me, while the casserole is baking or the chicken is roasting or the pasta is boiling, head down in the vegetable bin searching for anything that might allow me to be redeemed in the eyes of my family. Peaches add a je ne sais quoi quality. Recently that redemption has come in the form of little green hallocks of fruit brought home from the farmers' market, specifically some blueberries and peaches, that, when combined with leftover cabbage from tacos the night before or extra leaves not used in an escarole salad, gave me the benediction I was seeking. 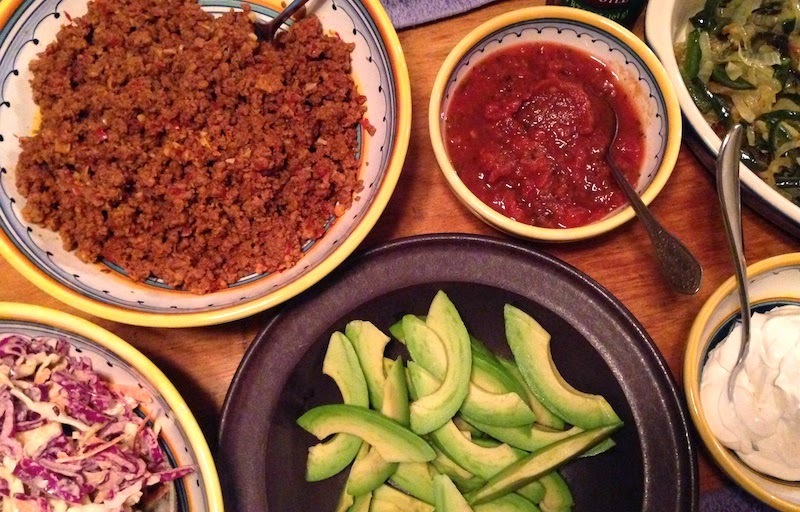 Combine all ingredients in salad bowl and toss. 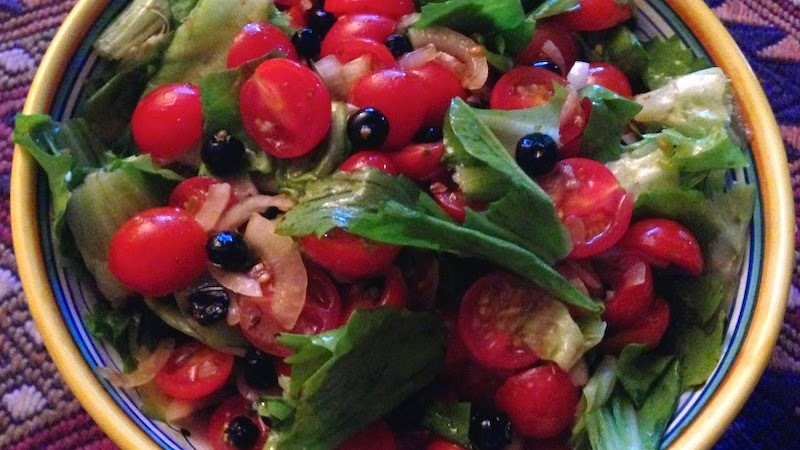 Put cherry tomatoes, blueberries, onion and vinegar in a zip-lock bag. Shake to combine and place bag in refrigerator for at least 30 min. to marinate. 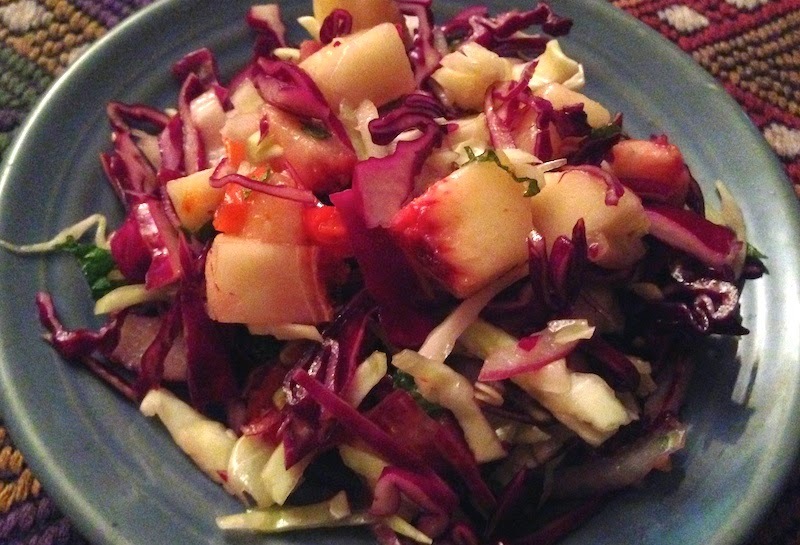 Remove from refrigerator and empty contents into salad bowl with torn escarole. Toss to combine. Adjust salt to taste and serve. Call me slow, unobservant or simply (and perhaps more accurately) in denial, but I just realized a few months ago, after decades of marriage, that my husband is a gadget geek. It kind of snuck up on me slowly, because he doesn't buy a bunch all at once. They dribble in, one at a time every few months, each meant for a particular project. It doesn't seem like that much. At first. The KitchenAid mixer was one he found on Craigslist for a steal, cherry-red and still in its original box, intended for his initial bread experiments. Handy for grinding meat or tomatoes, too, once we got the grinder attachment. Then he switched bread techniques, requiring the purchase of a few cast iron Dutch ovens, the better to get the kind of crusty artisan loaves he'd been dreaming of. A soda streamer came at some point, to make soda water for cocktails and soft drinks with fruit syrups we'd made, then an ice cream maker, which he's used for sorbet and ice cream experiments. But it was the bright orange instant-read laser thermometer gun that finally got my attention, with its "pistol grip" designed to "accurately measure temperatures at a distance!" That one I'm still trying to figure out, but I'm sure he had a good reason. After all, the other gadgets and doodads have certainly paid off in some delicious additions to our repertoire. It could be worse, right? Place all ingredients in a blender* and purée until smooth. Put a fine-mesh sieve over a medium-sized mixing bowl and, working in batches, press the purée through the sieve with a spatula. Place the mixture in the refrigerator and chill for at least an hour, then follow directions on your ice cream maker to process the sorbet. 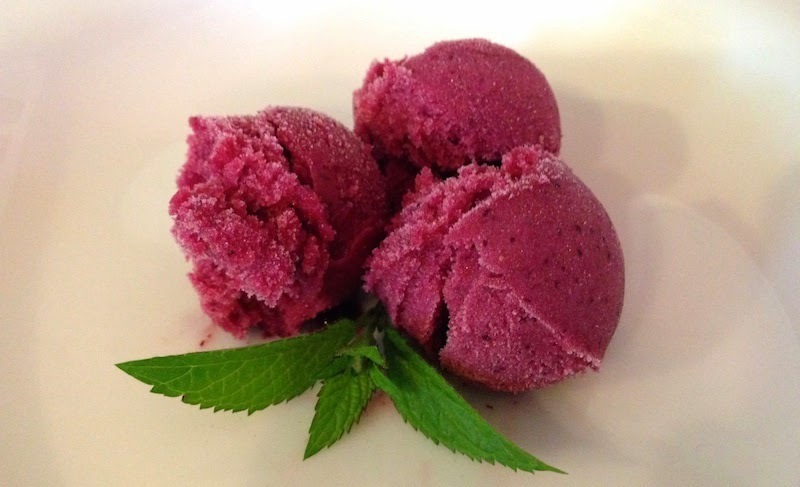 * Some sorbet recipes call for adding a pinch of salt before puréeing, but it's terrific without. Growing up outside the Willamette Valley in Eastern and Central Oregon meant my parents piled the kids in the station wagon—I preferred the back end, with more room and a barrier between me and my two younger brothers—every few months and drove over the mountains to Portland. These trips always involved a stop about halfway for a bathroom break, coffee, lunch or pie at a café, some landmark place my parents had been stopping since they were young marrieds. Even now on road trips to the coast, usually much shorter journeys than those of my childhood but still requiring a stop to fortify or relieve, I was always looking for a place that reminded me of those childhood cafés, but never really found one that felt right. Until just recently, that is. 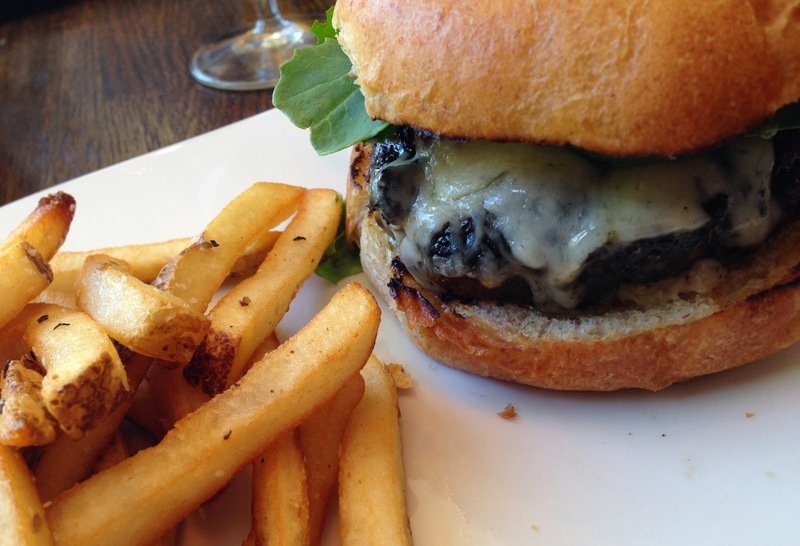 The esteemed Czarnecki family, founders and owners of the Joel Palmer House in Dayton (father Jack has been featured extensively on Good Stuff NW), decided that what wine country needed was not another wine-themed bistro with precious tchotchkes and even more precious pricing, but a good burger and a solid tap list. So son Chris, chef and current owner of Joel Palmer, decided to rehabilitate a historic restaurant and bar across from Dayton's Courthouse Square Park to provide locals and travelers a casual place to meet and have a bite. In other words, a good old-fashioned tavern. 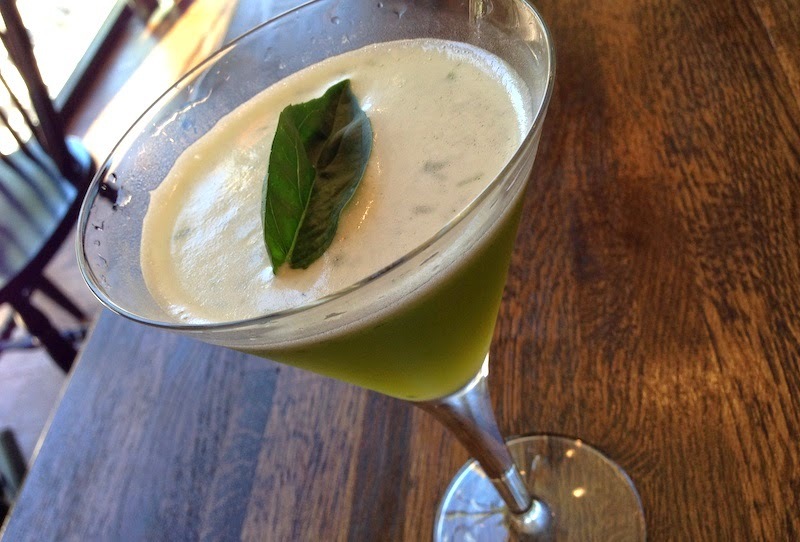 The Barlow Room is a comfortable brick-walled room with a bar along one wall featuring the aforementioned beers, but also an intriguing cocktail list—my basil gimlet was made with basil from the tavern's garden out back—as well as small plates for noshing, sandwiches, salads, pastas and desserts. (And that signature burger? Well, just know that when I'm craving a burger, this is the one I'll be thinking of.) 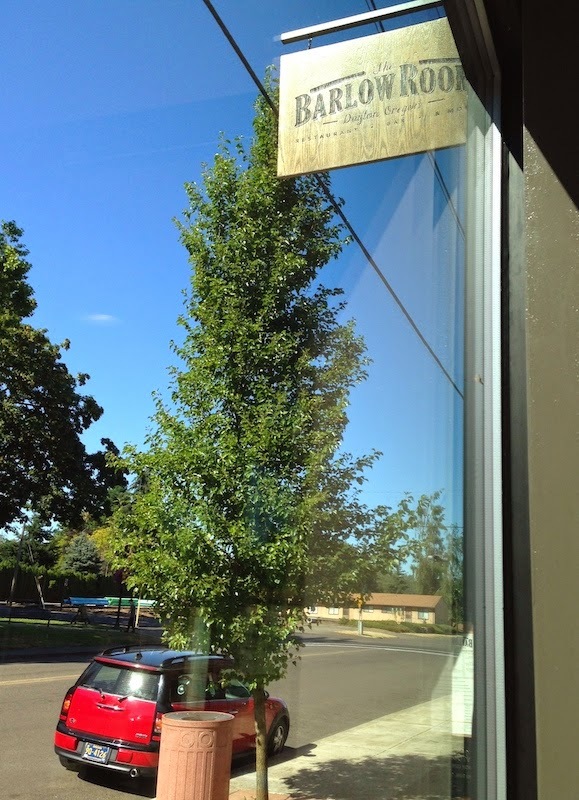 A destination all on its own, it'll also give weary wine-tasters a welcome break when their tastebuds tire of pinots, not to mention anyone traveling through and needing a place to stop and refuel. Details: The Barlow Room, 306 Ferry St., Dayton. 503-714-4328. Sully the Chester blackberry's reputation and you should expect a thorough tongue-lashing from contributor Anthony Boutard of Ayers Creek Farm. In for a trip to the woodshed in this essay are no less than the Oregonian and two professors in the Horticulture Department at OSU. "Developed in 2007, the chesterberry is a close cousin to the blackberry, but the fruit is roughly three times as large. In the marionberry family, chesters come with small seeds and a bitter taste." Chesters in the field at Ayers Creek Farm. 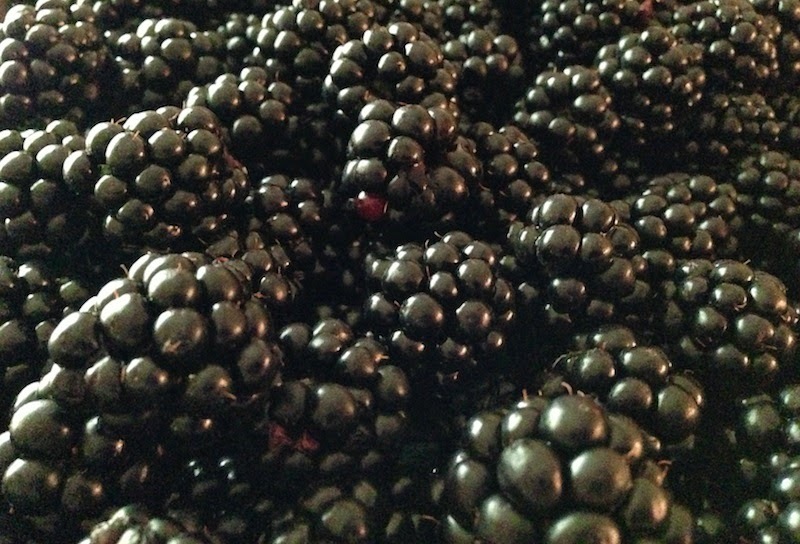 The name of the berry is "Chester Thornless Blackberry" not chesterberry, though we use the less formal Chester. It is capitalized because it is named after a person. Chester came out of the breeding program at Southern Illinois University at Carbondale in 1968, not 2007 as asserted by the author. Sakes alive, we have been selling them at Hillsdale since the market opened in 2002. It is a blackberry, pure and simple, not a cousin. The Chester, a thornless, semi-erect plant is from a very different breeding line than the Marion, a thorny trailing type plant. There is no familiar similarity between the two and their different ancestries are reflected in the flavor of the berries. Finally, what is this nonsense about the fruit being bitter? For some strange reason, the primary blackberry researchers at Oregon State University hold the Chester in very low regard, and this shapes the opinions of people who have not actually tasted the berry. I have had numerous discussions with Chad Finn and Bernadine Strik about Chesters, pointing out that it is a magnificent fruit for the smaller, organic grower and perfect for out-of-hand eating, but they are unshakable in their distain for the fruit. Fair enough, we harbor a similar distain for the Marion, which is great for industrial, machine harvest farms but not a fruit where the farmer plans to park the ATV and eat berries for a while and think of shoes and ships and sealing wax. I guess that is why we don't grow it. 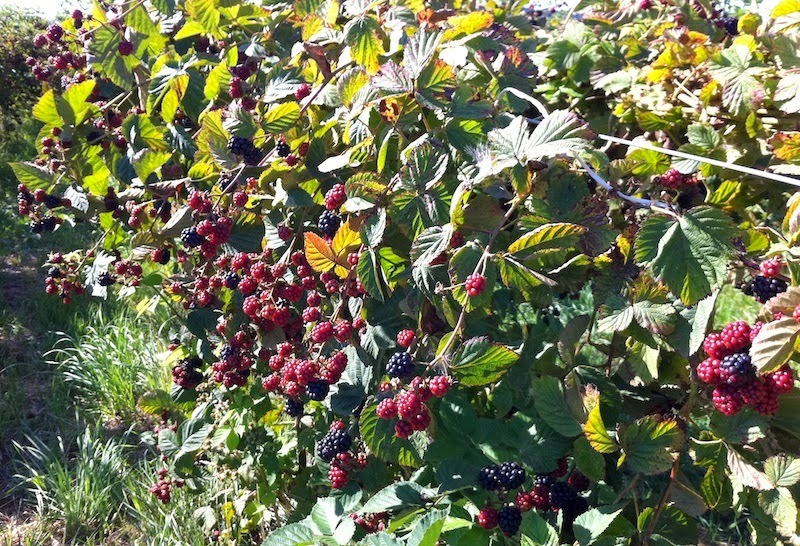 This year, we have planted more blackberry rows, Chesters, of course. Several years ago Kathleen Bauer posted a good essay [by Monsieur Boutard - KAB] on her blog about the Chester blackberry, nicely illustrated, for those who want the full and interesting history of the berry. It was the Fourth of July and at 10 o'clock at night it was pitch dark and instead of sounding like a war zone, with booms, cracks, flashing lights and sulphurous clouds of smoke drifting across the battlefield of competing patriotic displays, all we could hear was the quiet burble of the Wind River as it rushed over rounded stones on its way to join the Columbia. Rather than having to drug our dogs, or watch them pant and shiver and pace through the conflagration—"Go outside? No thanks, I'll just hold it till tomorrow. "—they were bedded down quietly at the other end of the tent we'd pitched at Paradise Creek campground in the Gifford Pinchot National Forest north of Carson, Washington. Our annual pilgrimage, which had ballooned in past years to 14 people in five campsites but this year, for various reasons, numbered only five members in two sites, was a much simpler affair but no less delicious (or fun). While a big group of good friends has always been a blast, fewer people meant much less coordination, and led to simpler packing—salami and cheese instead of dozens of fresh oysters—and much more time reading in beach chairs streamside. 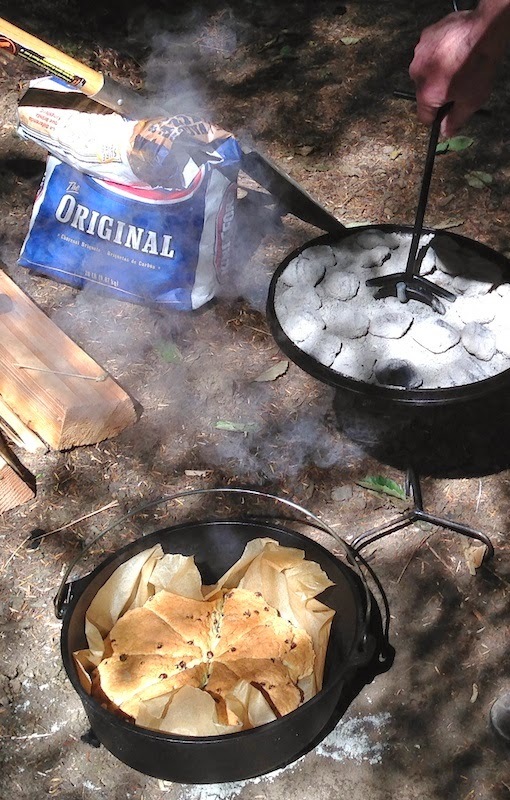 I'd wanted to try my hand at a campfire paella and Dave was itching to use his cast iron, footed Dutch oven to make scones using a perforated cast iron trivet to prevent scorching (left). 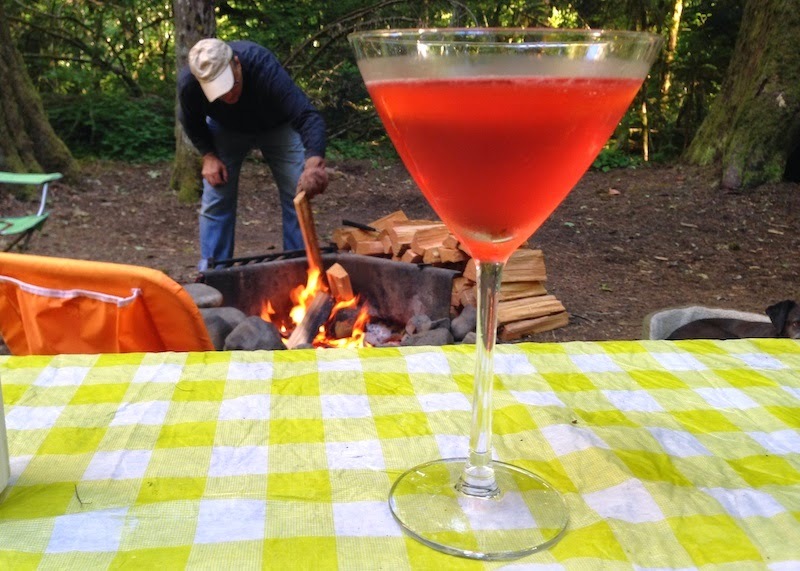 And of course we had the usual fixings for negronis and martinis to help smooth any bumps in our mattresses at night. The paella (top photo) was amazingly simple, since I used the frozen stock in place of one of the bags of ice in the freezer chest, and had simplified the list of main ingredients to chicken, frozen shrimp, olives and chorizo. Thanks to Dave's expert fire-building, the split dry fir from the "Camp Wood!" guys down the road burned down to a lovely bed of coals. A little sautéing over the fire, then adding the stock over the top and a half hour later—just enough time for a cocktail, thank you—dinner was ready. The scones were a tour de force, and even Dave admitted that he was as surprised as anyone that they turned out so well. He'd mixed the dry ingredients at home, then added the rest at camp. Then it was flattening the dough, cutting it in segments, and putting it on parchment paper on the trivet in the bottom of the preheated Dutch oven. 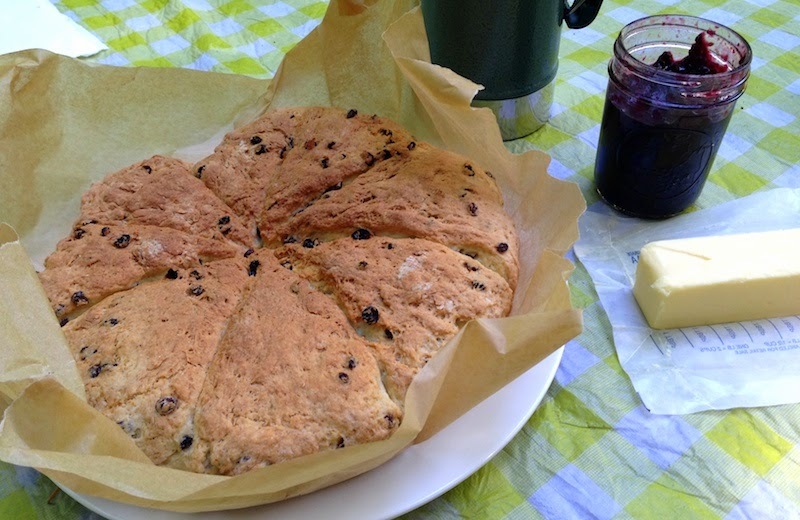 There was a little concern that the oven hadn't gotten up to temperature, but when the time was up he opened the lid and that flattened disk of dough had turned into perfectly light and fluffy scones. Needless to say, there was much oohing and aahing around the breakfast table. And me? I'll take these kind of fireworks over the other kind any time. 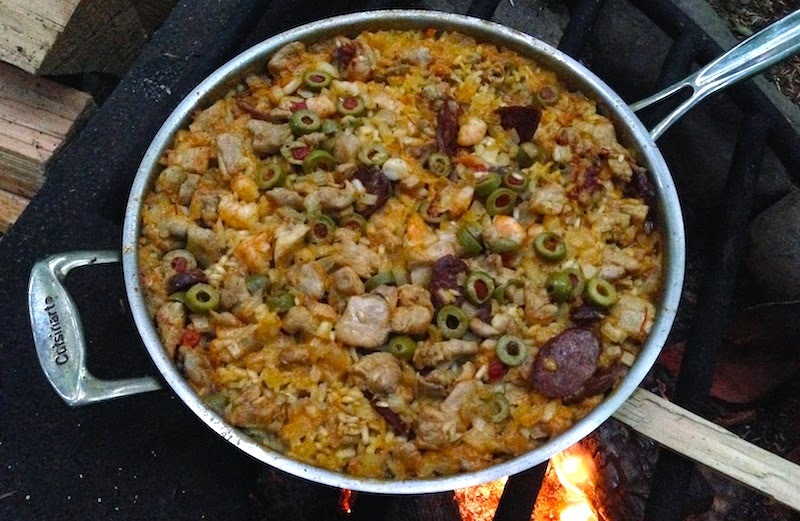 For an idea of how to make paella on a campfire, check out my recipe for paella on the grill. It was five years ago that I read Martha Holmberg's story in MIX magazine about a yearly nocino-making party in winemaker Anne Hubatch's back yard, and got to try some of the walnut-based liqueur they made courtesy of my friend, writer Peter Szymczak. 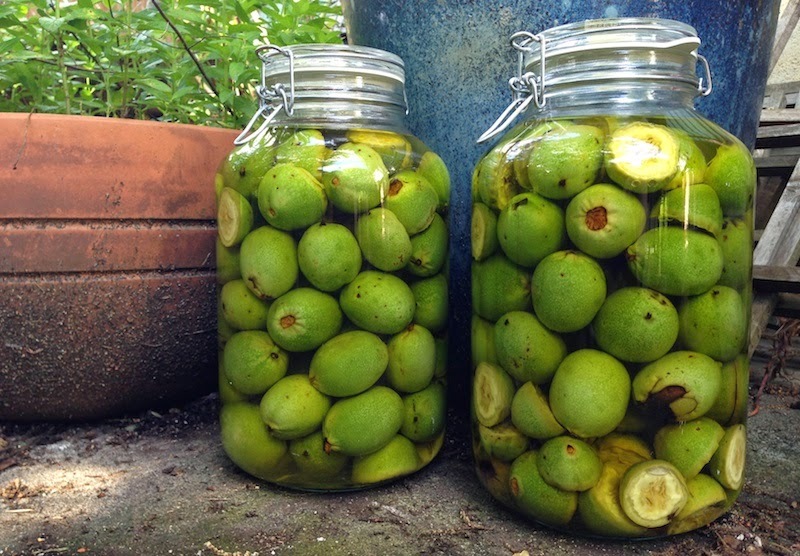 I kept swearing I'd make it myself one of these days, even participating in a nut harvest and nocino demo at my friend Jim's place three years ago. Originating in the Emilia-Romagna region of northern Italy, nocino is a sweet liqueur made in the spring—late June in Italy, early to mid-July in the Northwest—from the green, unripe fruit of the walnut tree. 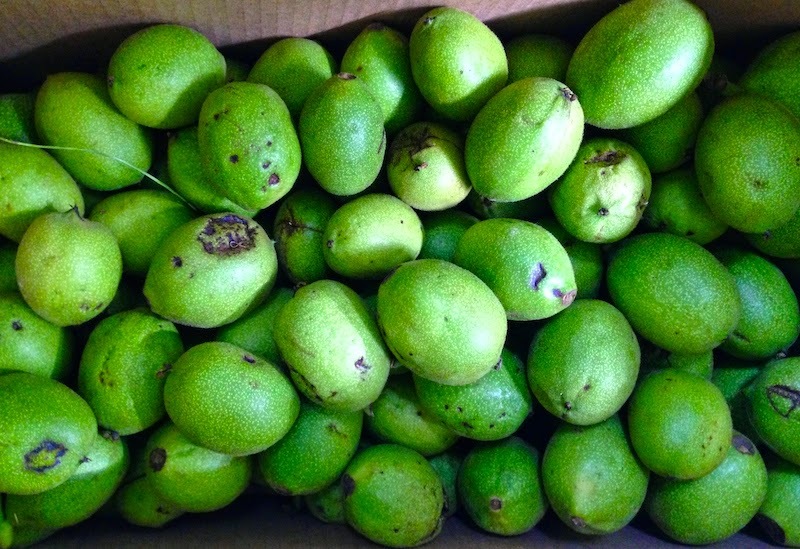 Fortunately for Oregonians, walnut trees abound in our climate and, from the broken green detritus I tiptoe through with the dogs on our walks through the neighborhood, most of the fruit ends up rotting on the sidewalks or getting tossed in the compost bin. So right now you'll find two gallon jars sitting out on the patio (top photo), and every once in awhile between now and mid-September I'll give you an update. See what I mean about the waiting? Yikes! 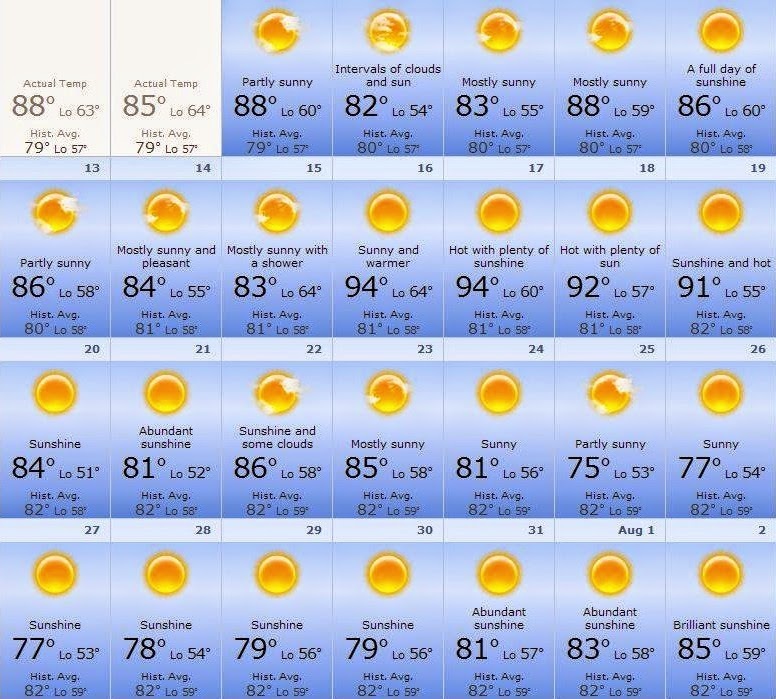 With long-term forecasts calling for temperatures in the 80s and 90s and with no rain for the next several weeks—climate change deniers notwithstanding—it's time to get some cool and groovy plans laid for dinner. If only that would include eating out every night, right? But since that's a situation that will have to wait until we chance upon that winning lottery ticket at our local stop-and-shop, I guess it's going to be me battling it out in front of the stove every night with my very own version of Top Chef. "What's she going to tantalize us with tonight, folks?" Well, the other evening I happened to have some ground pork in the fridge, thinking it was time to make a meatloaf, but it was just too dang hot to crank up the oven. That's when the idea of tacos blipped across my brain's radar. Cool. Easy. Simple. Just involves a bit of chopping and mixing and they're done. 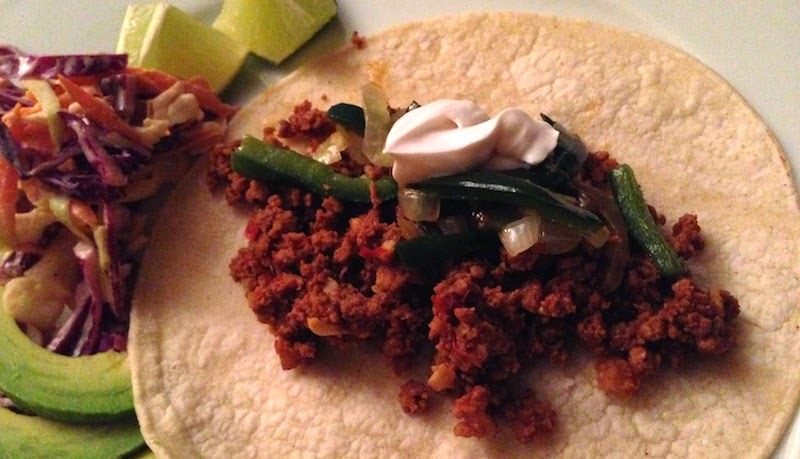 The pork would make a nice chorizo, I thought, and wondered how hard it would be to replicate the incredibly good Tolucan red chorizo made by Salud and Angela Gonzales of Don Felipe (available at the Beaverton Farmers' Market). A quick internet search yielded some basic guidelines, and with a bit of improvising I was able to fry up a pretty good facsimile. Now I have to go get some of theirs and try them side by side! Remove stems and seeds from chiles and tear into 1” pieces. Place in medium bowl (I used my 1 qt. Pyrex measuring cup). Pour boiling water over the top, making sure that the water covers the chiles. Let stand 30 mins. Drain, reserving the chile soaking liquid for another use (chili, chile sauce, etc.). 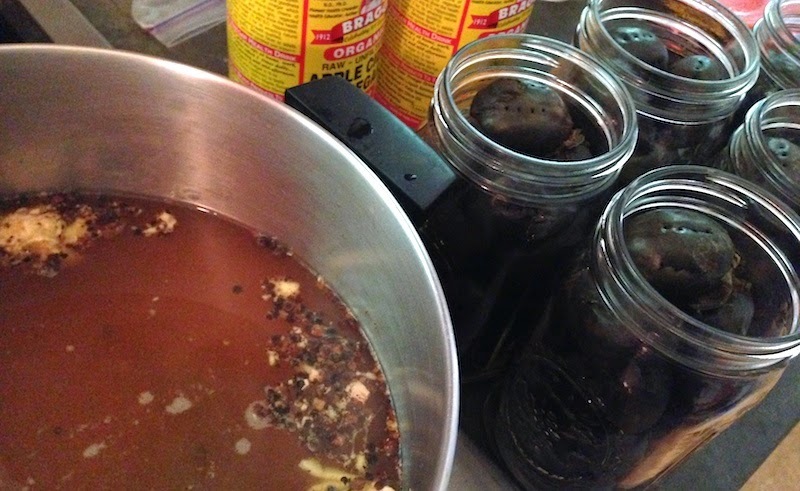 Put chiles, vinegar, oregano, salt, thyme, allspice, cloves and tequila in blender and purée. In large bowl, thoroughly combine pork, chile mixture and garlic. Place in large skillet over medium heat and fry until the pork is cooked through, stirring to break it up and crumble it, approximately 15-20 min. 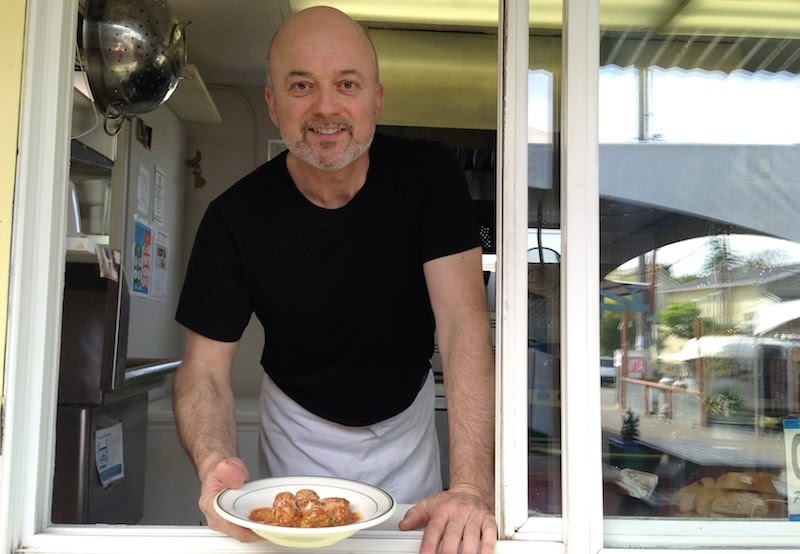 Just named one of the Oregonian's top ten food carts, Burrasca is a celebration of the foods of owner Paolo Calamai's native Florence, Italy. 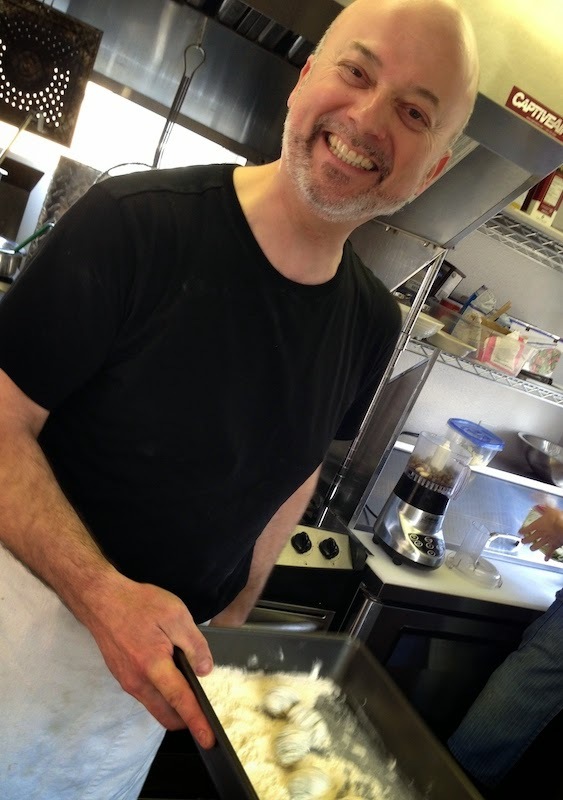 After sampling many of Paolo's offerings at his food cart on SE 28th Avenue, I knew I had to write about him and his wife, writer Elizabeth Petrosian, and their journey to Portland. 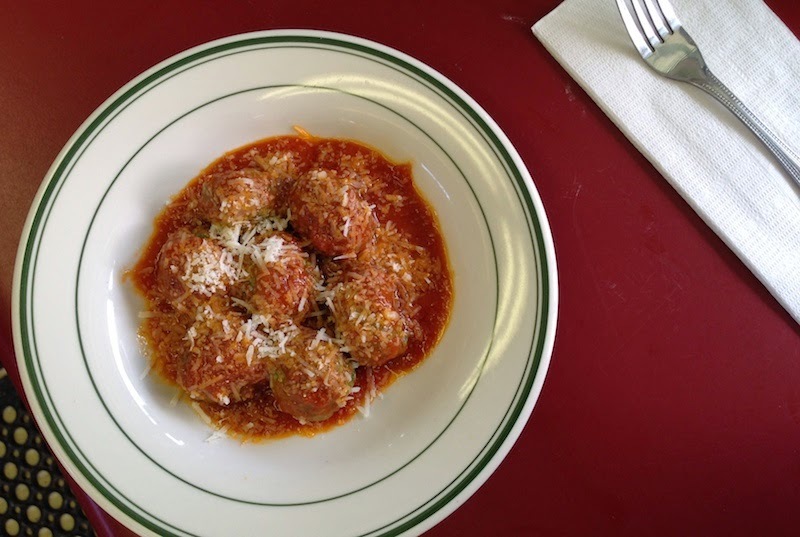 Here's an excerpt from that article, "At Portland food cart Burrasca, homey Italian dishes are rooted in owner's Florentine past." 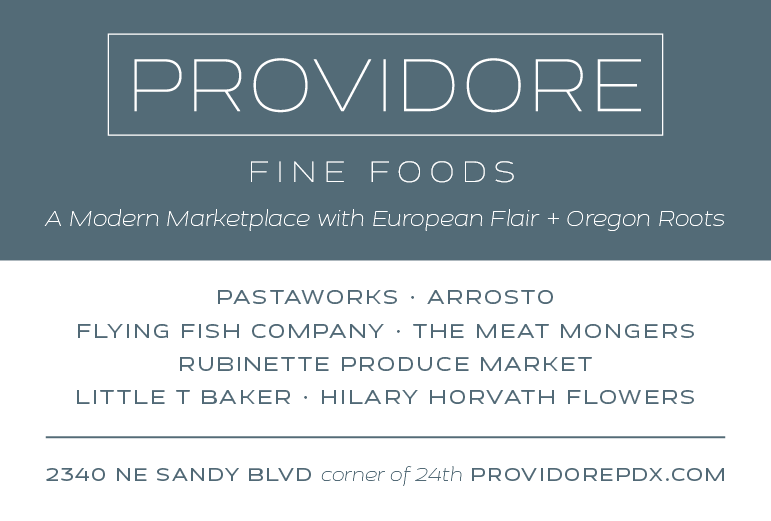 When they announced their decision to move their family lock, stock and pasta machine from Florence, Italy, to Portland, Oregon, to open a food cart, American friends of Florence native Paolo Calamai and his Michigan-born wife, Elizabeth Petrosian, were aghast. “But you’re living in Florence!” the friends wailed, thinking their life in Italy must be like all those I-left-my-boring-life-for-the-Tuscan-sun books that were popular a few years back. The life their friends imagined the couple was living? Paolo, educated in restaurant management, had traveled back and forth from Italy to the United States many times since his maiden voyage in 1984 when he visited the families of Stanford students he’d met at the Florence villa that university owned. Remembering his first trip to the states, his expression still carries the awestruck quality of his younger self. After that first trip, he worked the front of the house—as waiter, manager, wine buyer and menu consultant—in several high-end Italian restaurants in New York and San Francisco. He met Elizabeth at the former Etrusca restaurant in San Francisco where she was supporting herself as a waitress, saving on food bills by taking full advantage of shift meals at the restaurant while attending graduate school in English literature. “She was the cutest one there,” he said. 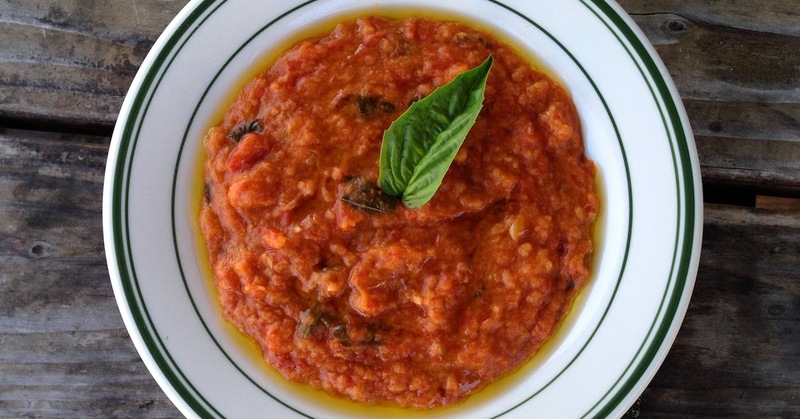 They dated, then moved across the country to work in New York, he at Pino Luongo’s Tuscan Square in Rockefeller Center, a forerunner of market-based restaurants like Eataly, and she at Gramercy Tavern. While it may have sounded glamorous from the outside, they realized that they weren’t able to spend much time together or enjoy the city. Plus they were missing the slower pace of life on the West Coast. “We realized there’s something about the West Coast lifestyle, it’s closer to a Mediterranean life,” she said. This post was going to be about our trip with a friend to Seattle to celebrate her birthday. Other friends were driving down from Vancouver, BC, and we figured the Emerald City made a nice halfway point. That's until some research revealed that the only hotel rooms available were running about $250 bucks a night, and even if we shared a room with the birthday girl—yes, we've known each other that long—it would still be at least $500 a night to accomodate all of us. 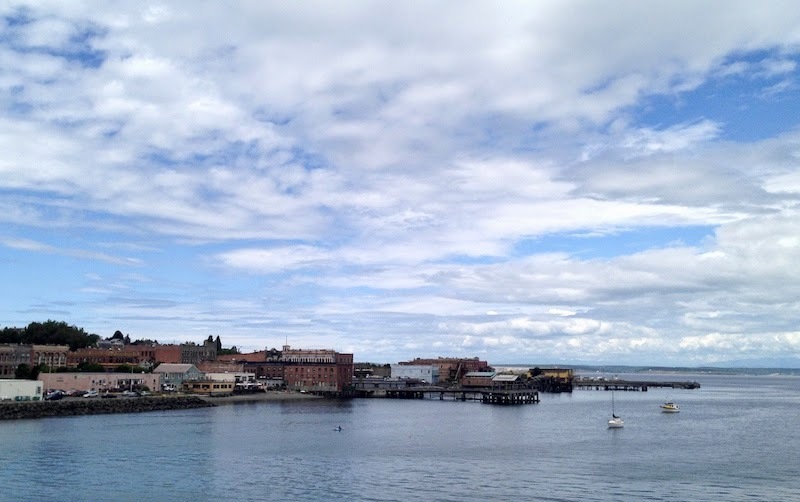 Port Townsend from the Coupeville ferry dock. Being frugal and also flexible, we started casting about for alternatives. When someone mentioned Whidbey Island, we heartily endorsed the notion, having just been there last fall. 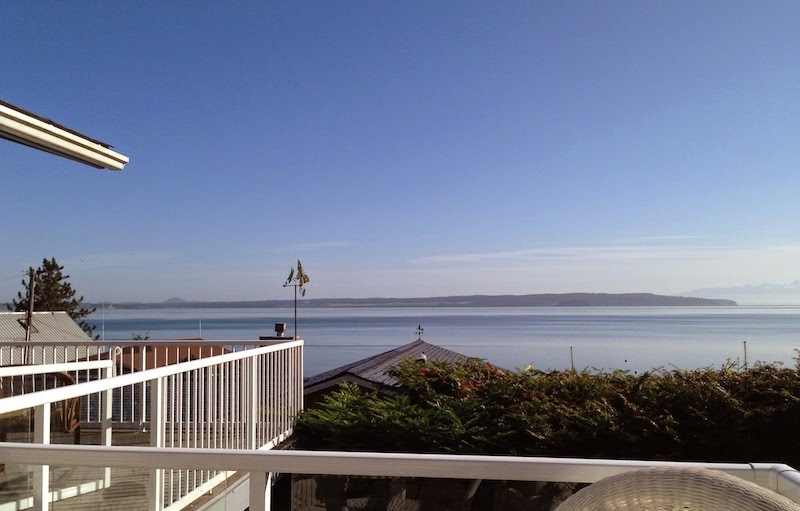 Our Canadian comrades quickly found a sweet little house overlooking the Saratoga Passage just outside the quaint mid-island town of Coupeville. With a view over the water, a pebbled beach to walk on and Mt. Baker looming over the scene, the price of $175 a night split five ways seemed like a steal. View from the deck of our rented house. I rode up with my friend on Friday, taking a route that avoided the obstructed bowel that is the traverse between Tacoma and Seattle. Instead, we cut off I-5 just before Tacoma, crossed over the Tacoma Narrows Bridge and wound our way up a four-lane scenic highway through Bremerton to Port Townsend. A quick ferry ride across the narrow entrance to the Puget Sound put us ten minutes from Coupeville, the whole trip taking almost exactly the same amount of time as driving from Portland to Mukilteo, north of Seattle, then catching the ferry to the southern end of the island with Coupeville still a 40-minute drive away. 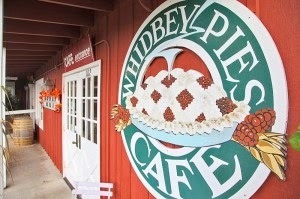 Whidbey Pies & Cafe at Greenbank Farm. Feeling very clever, we pulled up to the house at almost exactly the same time as the northern half of our group. We quickly unpacked and headed out to the sheltered side deck with our drinks in time to see a stunning sunset reflecting off of Mt. Baker in the distance. 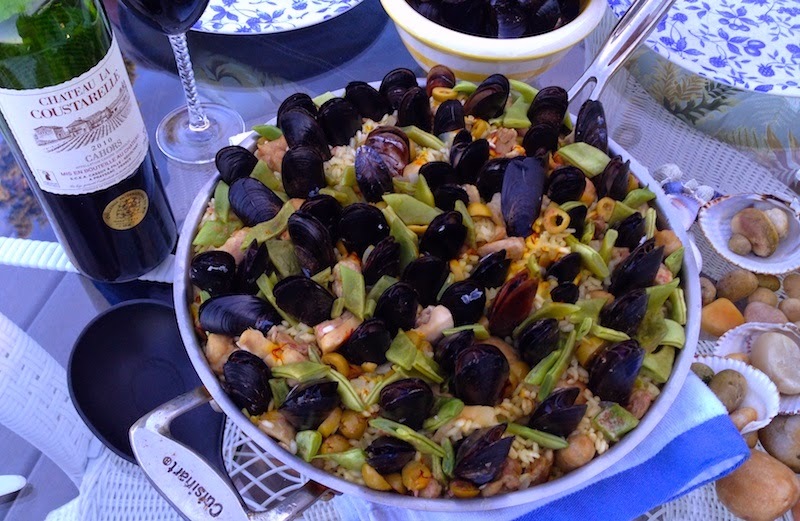 Dinner that night was a paella studded with delicate Penn Cove mussels that we'd picked up at Toby's tavern in Coupeville. The mussel version of Kumamoto oysters in their small size and creamy texture, they were not only gorgeous but gave that local, briny kick to the meal. It took very little arm-twisting to convince the rest of the crew to explore Coupeville proper the next morning then hit Whidbey Pies & Cafe at Greenbank Farm for lunch. (Frankly, I doubt if this crowd heard much more than "pies" and agreed immediately.) That way we could meet Dave, who was driving up that morning from Portland, and we could all have lunch and some well-deserved beers before heading back to our new island "home." 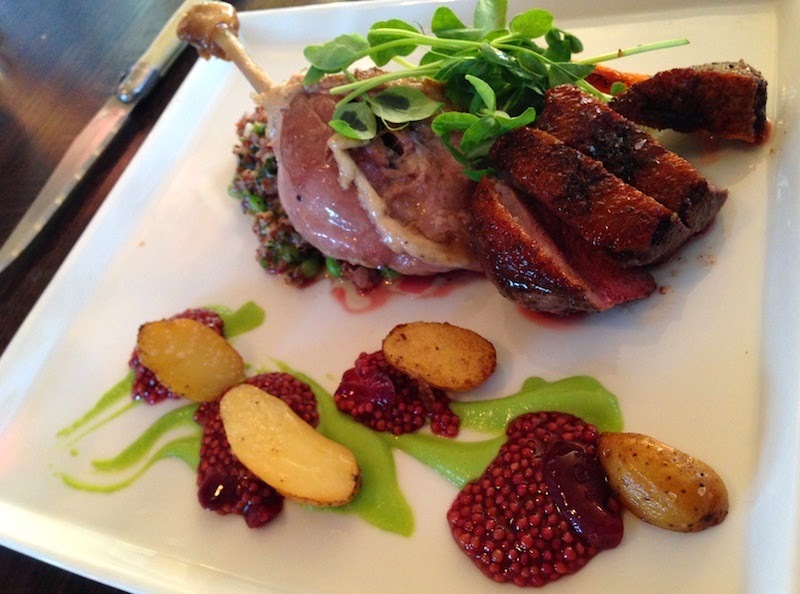 The Oystercatcher's duck breast and confit. The birthday girl's dinner took place that evening at the Oystercatcher, a casual but well-regarded spot in Coupeville. Longtime owners Joe Scott and Jamie Sastre had only recently sold the restaurant to Tyler and Sara Hansen, which left locals wondering if the change of hands might mean big changes to their beloved dinner house. If our meal there was any indication, the place is in expert hands, with everything made in-house and showing a clear dedication to working with island fisheries, farmers and ranchers. My beef shoulder with creamed new potatoes and nasturtium butter was meltingly tender and deeply flavorful, though I have to say the whole table agreed that the duck breast and confit leg with roasted potatoes and an intriguing cherry mostarda was the hit of the evening. The 2011 Syncline Grenache was so lovely that we had to order a second bottle, followed by toasts with a couple of older Scotches back at the house to send the birthday girl off to bed. So while I'm sure the Seattle trip would have been equally nice, the DIY aspect of this adventure, plus the opportunity to simply hang out with friends in a beautiful and relaxing place, made it so much more—and this is the operative word—fun.